I'm really sorry for the delay, dear readers. 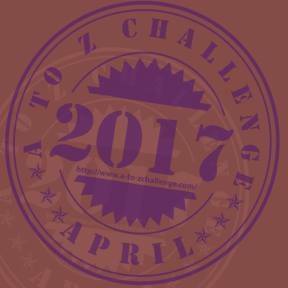 I've been doing this April A to Z thing on my other blog and loads of other stuff and my review kept on getting shoved to the bottom of the pile. It's here now, though! Everybody knows that ninjas are awesome. In the Avenger!, the first book in the Way of the Tiger series, you play a ninja. 25/25 See you next time. Jamie Thomson and Mark Smith have created a highly detailed and immersive world to place your character who, unlike some gamebook protagonists, actually has a lot of back story and gives them an epic quest that also has many human touches. Yes, I loved this book which has many more virtues than just the fact that it contains ninjas. And what is better is the fact that this book is the first in a series of six books but it was probably going to be more based on how the sixth book ended. The book was released in 1985 and has a lot of similarities with Lone Wolf, released one year earlier - you are a member of an order of monks, you have special skills and you gain a skill when you finish this book. However, there are many differences such as the combat system, lack of random character creation and a different story where your order is still around. The book is set in the detailed world of Orb, a place of many cultures defined by which of Orb's many gods they worship. There is a very pretty coloured map on the inside cover showing you part of the world of Orb and diagrams of the martial arts moves that you perform in the book. You also get the background to your order and throughout the book, you are given details of the customs and character of the places you visit as well as the gods that these people worship. You also have your own backstory. You were washed up on the Island of Tranquil Dreams as a baby, sporting a strange birthmark. You do not know who your real father is but you were taken in by the worshippers of the god Kwon and taught the way of the ninja. You had a foster father Naijishi who taught you much but he was killed by Yaemon, a monk who worships the god Vile. Yaemon stole the scrolls of Kettsuin from the monks and now he plans to use them to trap Kwon in some eternal fire. Your mission is to stop Yaemon, avenge your father and save Kwon. The other characters in this book are just as awesome (if not more awesome) than you are. There are no nameless mooks here. Despite the thoroughness of your training (which makes you feel awesome just reading it), your allies and opponents all have their special skills and makes every combat a challenge. Glaivas, an ally of yours is an expert swordsman and ranger. Honoric is a mighty warrior with a fear inducing, magic suppressing sword. Manse the deathmage can kill you with a word and Yaemon is an unparalleled martial artist. Even the 'mooks' have a sense of individuality such as the heavy two headed giant that you can't throw, Olvar, a barbarian that can make lightning bolts and ogre with a huge spiked hammer. You need to come up with a new strategy to defeat all of them. Thomson and Smith have left no stone unturned with their distribution of individuality. Basically, this book oozes with flavour. You get the sense that Orb is a living breathing world and not a bunch of set pieces that are there just because you are. You usually end up in the middle of some crazy situation such as witnessing a soldier decapitate a priest or getting captured and forced to fight in an arena. You also have purpose and backstory in this book, going way above the 'kill generic sorcerer, steal treasure' theme that Fighting Fantasy was going for. Bob Harvey's dynamic illustrations really make an impact. Most of the illustrations are of some of the best moments in the book such as the decapitation mentioned above, an ogre boarding your ship and a crazy chaotic barbarian about to bring his huge sword down upon you. The cover presumably shows you dressed in your black ninja costume at the temple of Kwon, ready for action. The power level skills are a little unbalanced in this book with the climbing, acrobatics and poison dart skills being stronger and the immunity to poisons and feigning death skills being weaker. However, this may be redressed in future books. Not having a skill is rarely deadly and you will be given a choice or a die roll to get out of danger if you lack the skill you need. The random elements of the book are very well balanced and there are no unfair combats or unavoidable luck based deaths. There is one error in the book. You may be able to get a magic suppressing sword but if you go to a particular location then the book forgets that you have it later on. This might actually prove fatal quite late on into the book and it can be frustrating. The final battle against Yaemon is a little anti-climatic. Instead of rolling dice, you have to choose a move to perform and you either will or will not inflict damage upon him. The same move will not work if you try to do it twice in a row but if you try another move and go back to your successful move, then you will inflict damage again. This means that if you find two different moves that inflict damage, you've automatically won. Thomson and Smith must have learnt from this mistake because in their book the Citadel of Chaos, you have a limited number of moves and if you damage your opponent, the Overlord, you get a mark. If you have that mark, you can never perform that move again. Besides those two issues, Avenger has a great level of gameplay, especially from the option based combats, which, along with the diagrams at the beginning and the exposition during the combat, make for some exciting times. With a punishing sidekick, you knock a new attacker to the floor where he lies inert. Another huge wart faced Halforc lunges at you with his cutlass. With incredible speed, you clap your hands together, trapping the blade between them, inches from your face. He has time to gape in astonishment before you smash the top of your right foot into his temple. The old man calls a girl's name and his acolyte appears, a surprisingly pretty girl of no more than eighty seasons. Whilst you wonder what she is doing with the stooped old man in a chapel that is too small to hold twenty people, he produces a long and wicked looking sacrificial knife. The rules have the rare accomplishment of being quite simple, fitting for the setting (luck on a spaceship?) and versatile. They are more complicated than most gamebooks but not too complicated (they are still nowhere near RPG level) - you have modifiers for punching, kicking, throwing and fate, an inner force score which allows you to double damage dealt in combat. You also have an endurance score to keep track of. Combat is innovative and provides you with many options, unlike the purely luck based combat of Fighting Fantasy and Lone Wolf. You get to choose to punch, kick or throw to attack, each maneuver having different advantages and disadvantages. You can also block an opponents attack if you sacrifice some offensive power later on and use inner force to deal double damage. You need to experiment with how each move works against each opponent. Avenger! certainly is a grand feast. There is tons to get your teeth into from the backstory, the scenarios, the interactions with the NPCs and the experience of the world of Orb. The book is challenging but not impossible and you get a real sense of achievement when you kill three of Orb's most powerful villains and get a personal visit from your god to congratulate you. 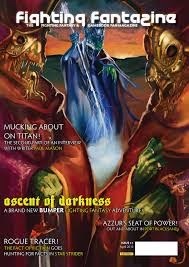 It's a must have for any gamebook fan. Destiny Quest! My take on its greatness.